Yemen is many things to many people, but united is certainly not one of the country's defining characteristics. As a nation, Yemen is divided across political, economic, tribal and societal lines. The country is a complex web of deeply embedded traits and customs that dominate everyday Yemeni life, both in times of peace, and war. To understand Yemen, it is perhaps important to first understand Yemenis. Like several other Arab nations, strong extended family and tribal links form the bedrock of the nation. And where a state has historically failed to provide at even the best of times, the tribe has never shirked its responsibility. However, the unyielding nature of the relationship between family and individual should not be equated with political like-mindedness among all family members. No more so did this uniquely Yemeni approach to politics become apparent than in light of the recent death of former President Ali Abdullah Saleh. And my family is no different. I have previously written that Yemen is the sort of country where friends can become enemies, and enemies can become friends almost overnight. The death of Saleh at the hands of the same Houthi rebels with whom he was previously allied, is not only an example of this dynamic fight or flight mentality, but also a more specific microcosm which took place in the living rooms of Yemenis across the world. For many, Saleh was a hated figure who had ruled the country for over 33 years with an iron fist and a mighty bank account. Yet on upon news of his death, the sentiment and mood towards Saleh even among his toughest critics was largely one of disappointment and dissatisfaction. In my family, one such close relative even remarked that he wished Saleh would have stayed just a little longer - perhaps enough to have defeated the Houthis in light of his rapprochement with the Saudi-led coalition only five days earlier, which brought about much hope that the end of the conflict was finally in sight. But not long ago, that very same cousin had called for Saleh's downfall on the streets of Sanaa. For it was Saleh who fought the Houthis for almost a decade, culminating in the killing of their leader (which they evidently never forgave him for), enabling them to capture the capital and benefit from the privileges of state, while his loyal soldiers remained idly watching. Accused of corruption during his rule and devastation after it, Saleh was Yemen's strongman who many loved to hate. Historically, the main organised political opposition to Saleh's General People's Congress (GPC) party was the Al-Islah, normally viewed as Yemen's take on the Muslim Brotherhood. Al-Islah generally enjoyed fair support among the people, and especially with more religiously minded Yemenis who may have viewed Saleh's government as "Godless". Indeed, a significant chunk of my own family would identify as Al-Islah supporters or sympathisers at the very least, because of their view that faith should inform or even be central to government. It is easy to see why despite Saleh's years of power consolidation and political prowess, Al-Islah could gain support in light of their religious leanings in a traditionally conservative country. It is worth mentioning that for the bulk of the country, Al-Islah was the only real alternative with sufficient strength to form even a face value challenge to Saleh's rule, and they benefited from this; their default "other" status. As someone who never supported the GPC or the Al-Islah - viewing both of them as part of the same system which held back Yemen's progress and prevented the emergence of a truly representative democracy - I of course found it challenging when Al-Islah supporters in my own family emphasised the need to stop Saleh's corruption and overrun his power base for the "good of the people". On the flipside, as a family with a rough 50/50 split between supporters for Saleh/GPC and Al-Islah, I became accustomed to hearing the same arguments centring on the premise that Yemen could only be stable and prosperous with a leader who was an all-powerful and dominating figure, such as Saleh. To his credit, but perhaps the detriment of the people, prior to 2011 Saleh provided much of the north and key areas in the south with relative political and economic stability in Yemen terms. But let's be clear: Yemen was never Belgium, but in a way, Saleh's rule afforded Yemenis some of the most stable times in the country's modern history. To my mind, though, regardless of the merit or accuracy of the claims on both sides, true legitimacy in state lies among the youth. They are the future of the country and those unshackled by rigid and outdated political affiliations. This view further reflects the bitterly divided opinion among Yemenis as to who should lead our country. Since the popular revolution which ousted Saleh as part of the Arab Spring movement in 2011, differences have only increased as the number of potential political rivals to Saleh's power has grown to include the revolutionary youth movement, a revitalised socialist party and the ever-present Nasserist movement. But when it came to news of Saleh's death on Monday 4 December 2017, and the subsequent release of the video of showing his demise, supporters across the political divide, including both the Al-Islah and the GPC loyalists were united - if not temporarily - in disbelief and discontent. Saleh, and the rage he sparked inside me, was the reason I first became interested in Yemeni politics, and his death marked the start of a new, dark, uncertain chapter in Yemeni history. It did not matter whether you were a regional head of an Al-Islah council, or a former minister in Saleh's government, by and large - and despite the uncertainty - Saleh was the one variable that everyone thought was certain. When historians pen the history of this period, the death of Saleh will be marked as a turning point in the country's contemporary history. When he first came to government, it was predicted he would only last six months, but he ended up leading for over 33 years. He is the only president many Yemenis have ever known. He brought about one of the most peaceful periods and one of the most disastrous, in recent times. Saleh famously said that ruling in Yemen was like "dancing on the heads of snakes", and for a long time, many believed he had mastered the skill. Saleh's death is deeply symbolic in the minds of Yemenis as a reflection of the level of chaos the country has now reached, but also for its strategic importance. His death creates a systemic imbalance in Yemen's political and military elite. Who will this void, and how, is now the most prominent question. Saleh polarised the country during his life and after his death. For better or for worse, Saleh's final act appears to have united many Yemenis against the Houthis. 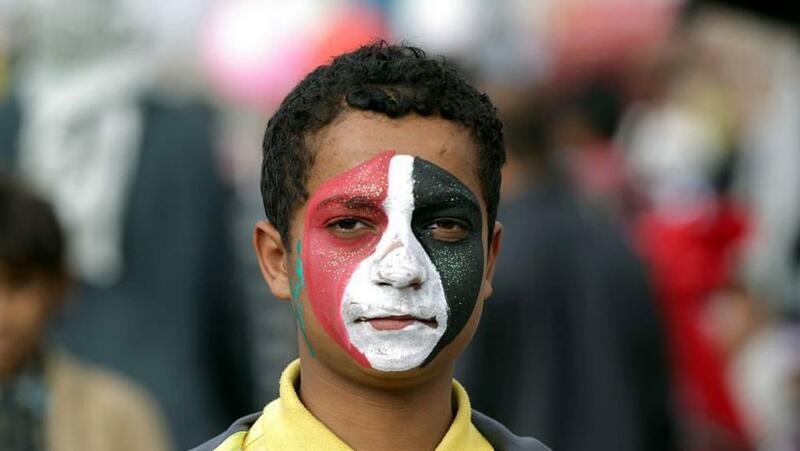 Yemenis are now left divided in their mourning, at least in this family which is my own.